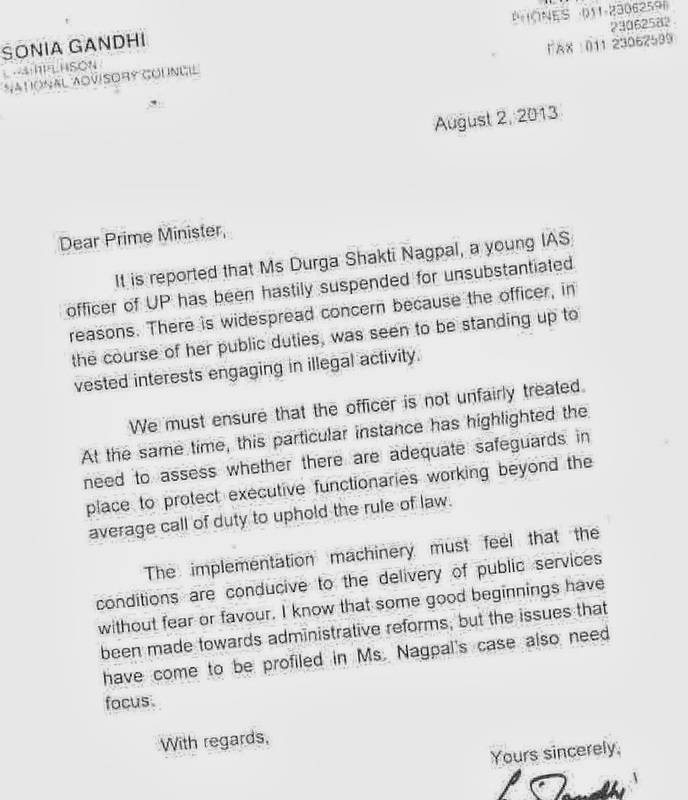 WOULD Akhilesh Yadav-led UP administration have revoked the suspension of young IAS officer Durga Shakti Nagpal at least a month ago, had UPA chairperson Sonia Gandhi not sent off an open letter to Prime Minister Manmohan Singh on August 2 asking for his intervention in the matter so that the officer is “not unfairly treated”? Here are five questions that BoI has raised post Nagpal’s reinstatement on Sunday. 1. When Mrs Gandhi’s letter surfaced amid massive public support in favour of Ngapal, Akhilesh Yadav probably delayed her reinstatement. 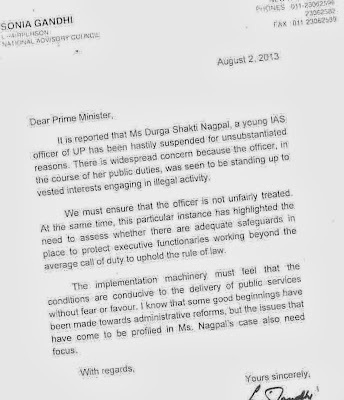 After all, Mrs Gandhi wrote in her letter to PM: “There is widespread concern because the officer, in the course of her public duties, was seen to be standing up to vested interests engaging in illegal activity…We must ensure that the officer is not unfairly treated.” In fact, there were rumours in Lucknow’s top administrative circle that the suspension order of Nagpal would be revoked after she had met the state chief secretary. But Samajwadi Party was concerned that if the officer was reinstated immediately after Mrs Gandhi wrote the open letter, the Congress would take away all the credit. 2. When BoI tweeted the news of Nagpal’s reinstatement on Sunday evening, one visitor posted a comment asking whether it’s a “Samjhauta Express”. The revocation of her suspension came just a day after Nagpal and her husband Abhishek Singh, also an IAS of the same cadre, met chief minister Akhilesh Yadav in Lucknow? What transpired in that close-door meeting? And what Yadav bargained in the process? 3. Will the intensity of Netagiri increase after Durga Shakti Nagpal episode? Despite everyone knew it for sure that Nagpal was framed in a communal disharmony case because she took on the politically well-networked sand mafia in the state, the ruling brass remained stubborn, ignoring public opinion, media pressure, and even the hectic lobbying by the IAS associations. UP administration delayed the matter, forcing the young IAS officer going through a 58-day-long ordeal. Has this episode emboldened the Netas to keep the independent-minded and honest babus in check? 4. Should people remain quiet after Nagpal was reinstated? In fact, only a battle, not the war is won. How many officers have been suspended so far for communal flare-up even as UP has earned the notoriety of witnessing repeated communal clashes, Muzaffarnagar riot being the recent one? How can Netas and top UP officers get away with victimizing an honest officer for toeing their line? 5. 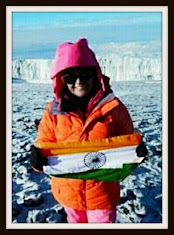 Finally, will Nagpal remain a “Durga”? Or will she lose her sheen? In coming days, Nagpal will get her next posting. And it remains to be seen whether she will be as aggressive as ever. All valid questions. Liked the Q NO 5 the most. I really want to know that. Durga should have shown the same tenacity in dealing with CM of Lucknow too and stood her ground by not appearing to be appeasing to CM! Alas! !